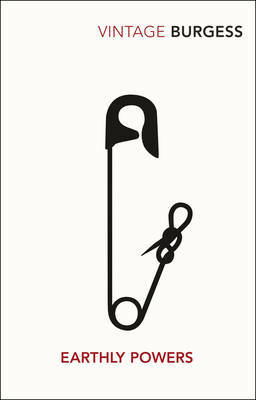 A collection of materials to help you and your group with one of Anthony Burgess’s most expansive novels. Let us know how you get on! As told by the central character himself, a distinguished British writer in his eighties, Earthly Powers is the life story of Kenneth Marchal Toomey – from the First World War to his later years of sun-drenched idleness in Malta. A homosexual who is unable to reconcile his nature with the teachings of the Catholic Church, Toomey opts as a young man for a life of loneliness and exile – first in the Paris of James Joyce and Ezra Pound and later in Hollywood at the height of its glamour and corruption. His travels, his many assignments and, indeed, the affections of his heart, bring him face to face with the most savage manifestations of evil in the modern world: the murder of a beloved friend in Malaya; the brutalities of Mussolini’s fascists; a Nazi death camp; mass suicide in the name of love in California. Breathing the stench of Buchenwald, Toomey sees finally that evil comes from man himself, it is inborn; for his brother-in-law Carlo, the saintly but sybaritic priest, it is a force at large in the world that must be challenged constantly in all its guises. ‘This is exciting stuff. It is not surprising that the novel was short-listed for the Booker prize. The narrative is compelling, the arguments important.’ – D.A.N. Jones, The Listener. ‘Burgess has written a novel epic in its sweep, subtle in its portraiture, graceful in its unforbidding exploration of ideas, and brutally funny.’ – David Caute, New Statesman. ‘Burgess plays games with language with a skill no other living writer can equal.’ – Peter S. Prescott, Newsweek. ‘The astonishing Mr Burgess has somehow managed to graft James Joyce onto Somerset Maugham, with a demented laugh track.’ – John Leonard, New York Times. ‘Earthly Powers – hugely entertaining and inventive as it is – remains a most ironic version of “the big book”.’ – Lorna Sage, The Observer. ‘Earthly Powers is a big, grippingly readable, extraordinarily rich and moving fiction by one of the most ambitiously creative writers working in English.’ – Jeremy Treglown, Times Literary Supplement. 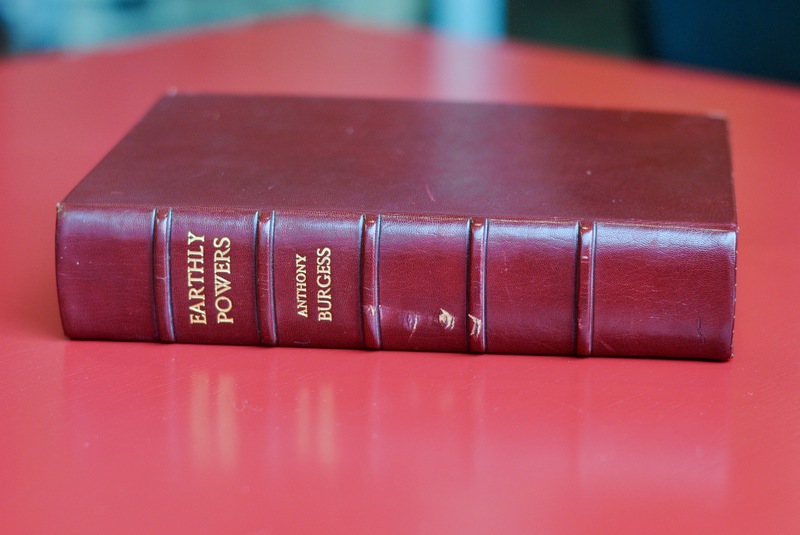 Earthly Powers comes from a period when Burgess was thinking about his own autobiography. During the 1970s, he had begun writing about his early life in Manchester, and his previous experiences in colonial Malaya. Fragments of his autobiography were written in the mid-1970s (even though it would not be published until 1987 as Little Wilson and Big God), and he began writing novels such as The Pianoplayers (published 1986) and Beard’s Roman Women (1976) which deal explicitly with the events of his own life. In the early stages of writing Earthly Powers, he was thinking of his early years as a Lancashire Catholic, his family’s relationship with the Church and the evolution of his own Catholic faith. While Burgess ceased to describe himself as Catholic in later years, he was unable to describe himself as an atheist, stating ‘I have never been able to doubt the existence of God… But whether really this affects the way I live, I don’t know.’ Burgess’s reluctance to describe himself as an unbeliever may have had something to do with the more devoutly Catholic branch of his family. His cousin, George Dwyer, became the Archbishop of Birmingham and was partly the inspiration for Carlo Campanati, Kenneth Toomey’s brother-in-law and Catholic priest. Other fragments of autobiography that feature in Earthly Powers include Toomey’s expedition to the Federated Malay States, his not altogether successful work as a Hollywood screenwriter, and his interest in music. Lyrics from Burgess’s musical Blooms of Dublin appear in the novel, an adaptation of James Joyce’s Ulysses completed in 1975 and broadcast in 1982 on BBC Radio. The genesis of the novel not only came from Burgess’s own life, but from his relationship with literature. In the second volume of his autobiography, You’ve Had Your Time (1990), he claims that he was inspired to write Earthly Powers because he wanted to show off his literary artistry, much like Ford Madox Ford and his novel The Good Soldier (1915). The character of Toomey is based partly on Somerset Maugham, and some of his adventures, particularly in Malaya, reflect Maugham’s life and writing. Of Maugham, Burgess says, ‘To imagine myself into the mind of a homosexual I had to start with a real person.’ Toomey’s sexuality is vital for Burgess’s exploration of faith and sin: ‘I made this man a homosexual so that he could stand outside the normal covenants that apply to normal people. 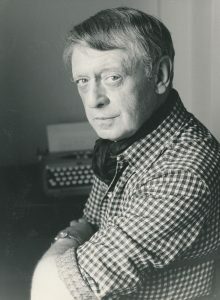 God had made him a homosexual and therefore made him unable to take part in the normal moral debate which exercises Christians.’ In other words, Burgess uses the sexuality of his protagonist to explore the arbitrary nature of sin, and the exclusivity of a religion which preaches universality. Burgess’s novel was previously titled The Prince of the Power of the Air and Instruments of Darkness before being published as Earthly Powers (a title imposed by the American publisher). How does the title affect the way you read the book? Compare this novel to Burgess’s A Clockwork Orange (1962). To what extent are the two novels thematically similar? Are there particular episodes or chapters that stand out in the novel? Why do these stand out? Burgess calls this a novel about memory. To what extent is this true? How does Burgess portray this in the text? Do you think this is a good way of telling a story? Toomey refers to ‘home’ throughout the novel. What is the significance of this? What does the idea of home represent to Toomey? Do you think the fact that Burgess uses real people and events in his novel is important? How does it change the way you read the story? Can you think of any other novels that use a similar device? Do you think Toomey is a ‘sinner’? What does the word ‘sin’ mean in the context of the novel? Carlo believes in evil, but Toomey doesn’t. Is there such a thing as evil? What conclusions does Burgess reach in the novel? Toomey is a writer, and his character is based on Somerset Maugham. What role does literature play in the novel? Toomey’s sexuality is an important part of the novel. Why do you think Burgess chose to write Toomey as a homosexual character? 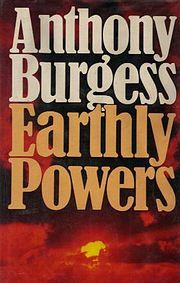 Earthly Powers is Burgess’s longest novel. Does the length of the novel reflect the themes? Would it have been better if it had been shorter? Which episodes worked well? What, if anything, would you have cut? To download this resource as a PDF click here.